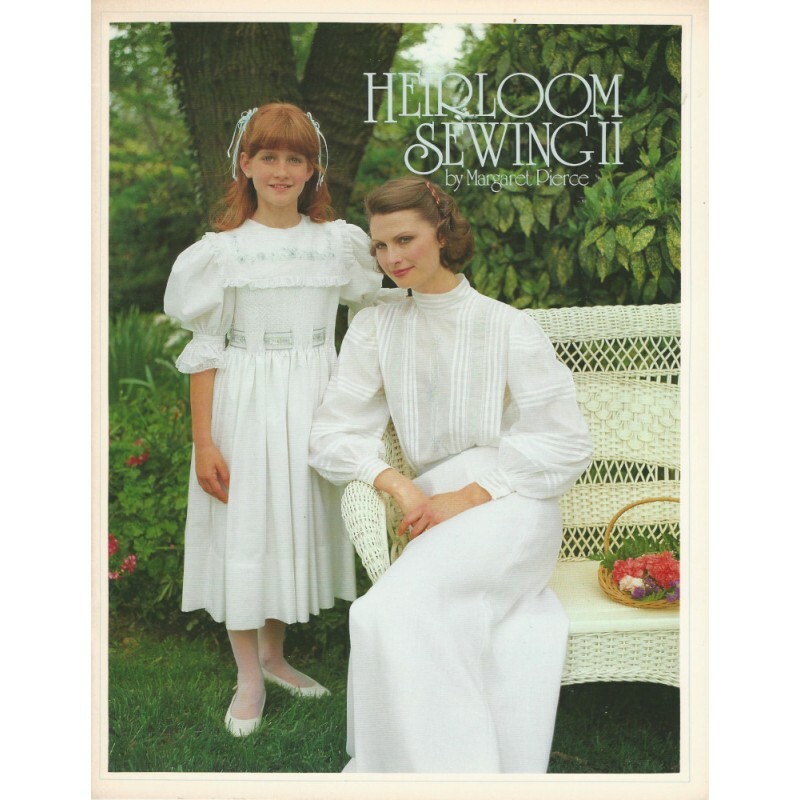 Heirloom Sewing II by Margaret Pierce. 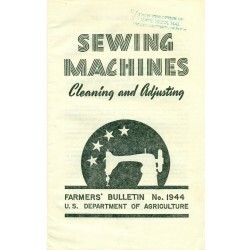 A terrific and handy guide showing different sewing techniques for heirloom sewing. 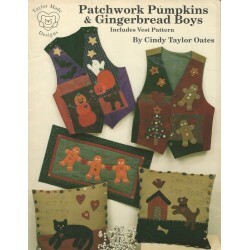 Includes: Shadow work, Applique cord, File Tire, Pin stitch, Appliqued inserts, Madeira applique and Decorative hems. 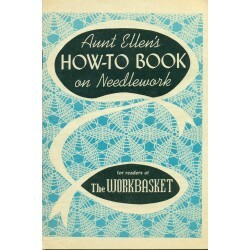 Full of photos, diagrams and instructions. 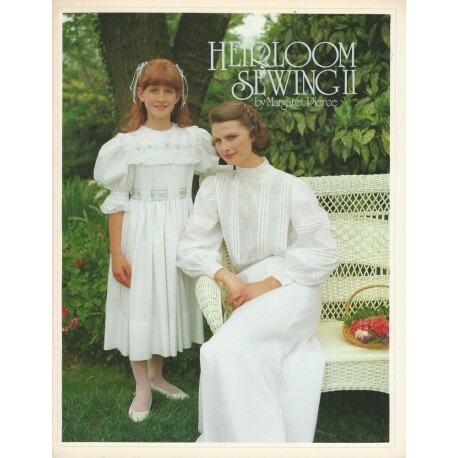 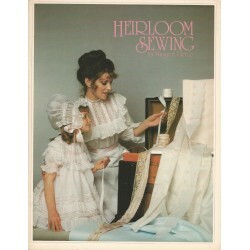 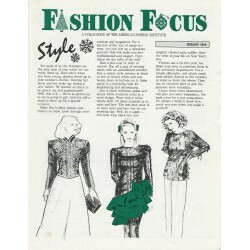 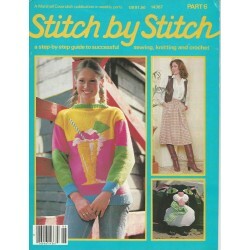 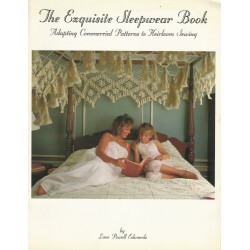 Heirloom Sewing II is a nice, vintage, sewing book from the 1980's! 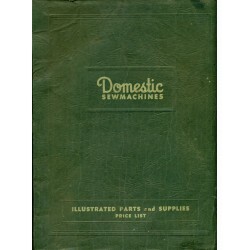 Condition: Slight wear on the cover. 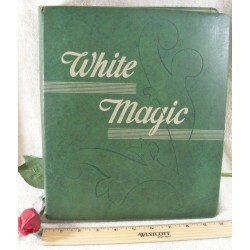 Otherwise, the book looks new.